A white woman stands on a footpath in a garden surrounded by plants. A man is standing in the middle ground, possibly trimming hedges. A white fence and a small building are on the left. Trees grow in the background. Johnson, Clifton, 1865-1940, “In the Mt. 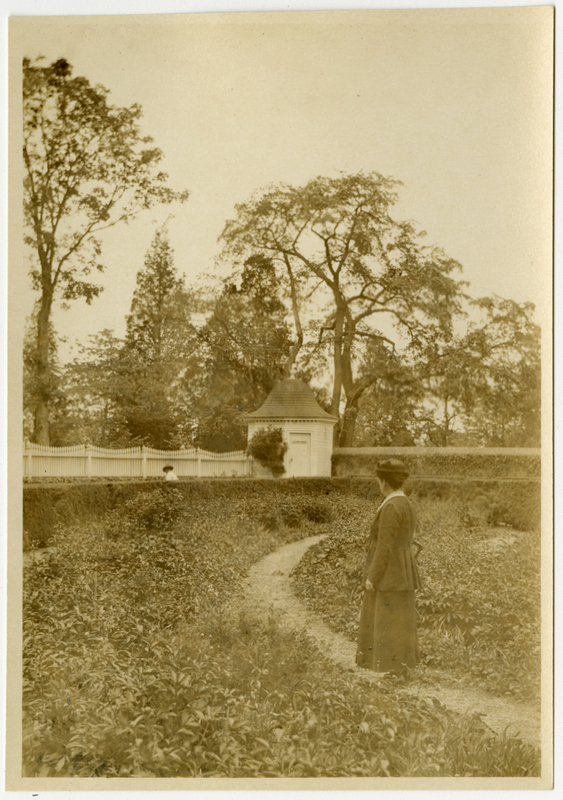 Vernon garden,” Digital Amherst, accessed April 23, 2019, http://www.digitalamherst.org/items/show/5148.